OSYON is Storage Partner of Tandberg Data. Tandberg Data is a world-leading manufacturer of professional backup and archiving solutions. The company's product portfolio includes solutions based on tape-drives and harddisk. The flexible systems fit into all enviornments and are suitable for companies and organizations of all sizes. Removable disk system to protect your data the fast and easy way. The RDX QuikStor media-based removable storage system offers rugged, reliable and convenient storage for backup, archive, data interchange and disaster recovery. It provides enterprise performance and fast access, with transfer rates of up to 936 GB/hr and capacities up to 3TB per cartridge. Vast capacities: 500GB, 1TB, 2TB or 3TB of hard disk capacity or 128 GB or 256 GB of solid-state disk capacity on one piece of media. LTO (Ultrium), the most popular tape technology, is a high-performance tape technology offering versatility, reliability and performance. Tandberg Data LTO tape drives, featuring LTO-3, LTO-4, LTO-5, LTO-6 or LTO-7 tape drive technology, offer a break-through in reliability, capacity and performance to meet the backup and archival needs for small to midrange environments. With its higher performance and capacity, the Tandberg Data LTO tape drive is an ideal complement to small rack-mounted servers and automation by providing compatible desktop backup for smaller workstations. The NEOs StorageLoader brings easy, affordable high-capacity backup and archive capability to small office environments on a limited budget. Packing up to 120TB in a compact 1u form factor, the NEOs StorageLoader combines ease-of-use features and dependable operation to make efficient, cost-effective offline storage a reality for the most budget-challenged business. The simplicity of the NEOs StorageLoader also makes it an ideal solution for remote office locations looking to reliably protect important data and move it offsite. 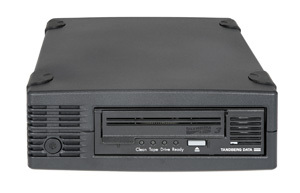 And if your current data protection strategy involves copying/moving data to a single, desktop tape drive or a tape drive contained in your server, NEOs StorageLoader provides the convenience and reliability of automated data backup, making NEOs StorageLoader the ideal 1st step into automated backup and archive. When both your budget and your storage capacity is being squeezed, look no further than the NEOs T48. The NEOs T48 packs up to 720TB of backup and archive capacity in a compact 4U form factor, making it an ideal storage solution for data centers where space is at a premium. Designed for environments where data storage challenges extend beyond simple capacity requirements, the NEOs T48 includes multi-drive support, redundant power, and the ability to partition the library into 4 smaller libraries.